An armchair travel blog that takes you around the world. Canterbury is among the most visited cities in the United Kingdom. 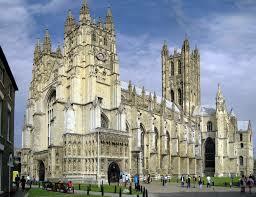 It is a university and cathedral city in Kent in the southeast of England. It is a favorite among tourists. Way back in 1170 Canterbury became a major center of pilgrimage because of the murder of Thomas Beckett who was the Archbishop of Canterbury. The city became the backdrop of Geoffrey Chaucer’s “The Canterbury Tales” which were stories about pilgrims who passed the time on pilgrimages by sharing stories. Canterbury is a city with an awesome combination of architectural styles that include genuine Tudor buildings and even 1960s style office buildings. Everywhere you look you can find something to delight the eye. The Dane John Gardens host special events on weekends in the summer such as French and farmers markets with all sorts of cuisine available. These are lovely park-like gardens. Canterbury Cathedral is the burial place of King Henry IV and Edward, the Black Prince. However it is most popular for being the scene of the murder of Thomas Becket. The cathedral is the seat of the Archbishop of Canterbury. This is also a great place to visit if you are into the paranormal or are fascinated by haunted places. The cathedral has several ghosts. One is in the tower and was also a murder victim. The tower is haunted by Archbishop Simon Sudbury who was killed by Wat Tyler the head of the Peasant’s Revolt in 1381. There is also the ghost of a monk that walks in the cloisters. A passage in the cathedral known as the Dark Entry is haunted by Nell Cook. She was the servant of a canon. Discovering that the canon was having an affair she poisoned his food and murdered him along with his lover. Her punishment was being buried alive beneath the Dark Entry. You can meet her ghost on dark Friday evenings but beware the legend is that anyone who sees her ghost will soon die afterwards. Canterbury Royal Museum and Art Gallery with Buffs Regimental Museum is housed in a Victorian building and features decorative arts and picture collections that include a gallery for T.S. Cooper, England’s finest cattle painter. There are lots of annual programs and exhibitions of both contemporary and historical work. St. Martin’s Church is a World Heritage site. It is the oldest parish church in England. Canterbury Castle the ruins of a Norman castle which was built in the 11th century. The ruins are well worth taking a look at and exploring. West Gate Museum offers an interesting collection of material about the tower and the history of Canterbury. From the roof top you can get amazing views that let you see all the way up the High Street to the Cathedral. Sidney Cooper Gallery offers music and art events. Museum of Canterbury offers visitors a look at Canterbury history through interesting objects, hands on displays and activities all are set in the magnificent medieval Poor Priests’ Hospital. The hospital dates back to the 12th century and was dedicated to the Virgin Mary to take care of poor and elderly priests. 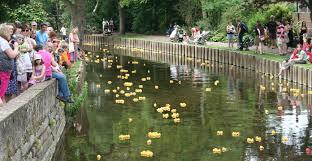 Canterbury Historic River Tours, Kings Bridge offer guided river tours from which you can view the magnificent natural scenery. You’ll find yourself upon the River Stour from which you can also see some absolutely stunning and important architecture. The tour guides provide you with the historical facts of all of the passing buildings and monuments.